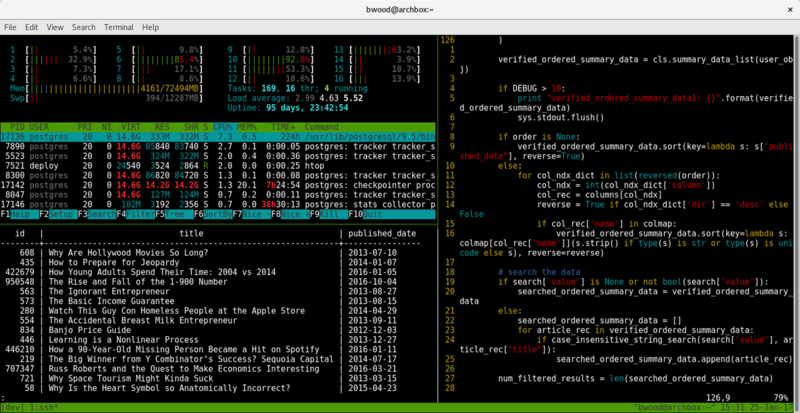 About a year ago, we released a software tool called Content Tracker. Tracker is a software dashboard we built at Priceonomics to measure the performance of our blog posts and content marketing. It also gives us notifications in Slack and email when articles get press mentions, shared on Twitter, or hit milestones. Since it’s been about a year since its release, we thought it would be interesting to review a year’s worth data of running a small Software as a Service (SaaS) “side business." While most of our revenue comes from our agency, the Priceonomics Data Studio, our aim in releasing the software was always to see if we could actually make money from the software as well. Tracker is mostly used by content marketers and some media companies. As we’ll discuss, the overwhelming number of users use the product for free, but a growing percentage elect to the get paid version. 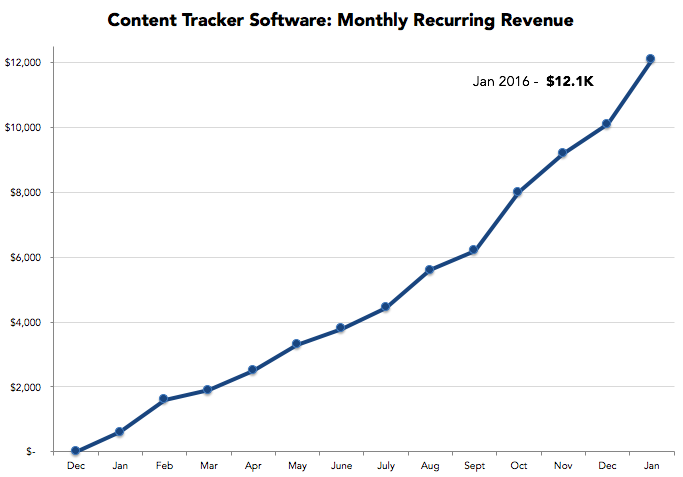 Here’s what the “monthly recurring revenue” has looked like for Tracker. Last January, the first month we started charging, we made $600. This January, we’ll make about $12,100 in revenue. Over the past year, we’ve learned a lot, accidentally disconnected all our users, recovered from that, and somehow chipped away at growing consistently. While there hasn’t been any of that “rocket ship” exponential growth, we’ve done a lot of small things each month to move the needle just a little bit. First, let’s review our year. 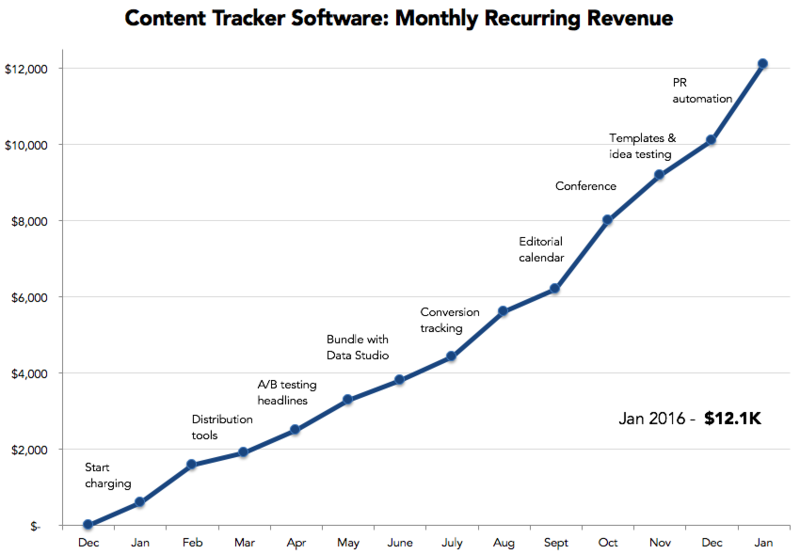 We launched Content Tracker as completely free product on November 30th 2015. Prior to that, we had about 100 beta users for a few months as we worked out the kinks. To launch the product, we posted it on our blog which generated 107 signups that day . We also posted it on Product Hunt a day later which generated 192 signups over two days. A couple of weeks later we posted our “Content Marketing Handbook” which became pretty popular and generated 202 signup over two days. To start, Tracker was free and there was no code in place to charge customers. During signup and launch we said that Tracker was limited to measuring 50 articles for free for beta users, and tracking more than that would cost money eventually (probably around $99 / month to set some level of expectation). With a free/freemium product you get a lot of signups from companies that are just poking around and not really interested in using it long term. But we noticed that quite a few of the companies that signed up were logging in obsessively and tracking a lot of content through the system or via Slack. We emailed a bunch of them to let them know that the Beta period was ending soon and tracking more than 50 articles would cost money. In each email we varied the price and benefits of subscribing, ranging from $29 to $99 a month depending on the benefits. To our surprise, a bunch of companies said that price was fine and they would sign up! Only after we had a couple of “yeses” in hand, did we then build the billing and payments software to start charging users. From there, we added new features each month that allowed us to make Tracker more valuable to companies so they’d upgrade. These new features also allowed us to create higher priced tiers for companies that needed advanced tools. In March we launched the Content Distribution Tools. At the end of April we added tools for A/B testing headlines. In June we started requiring new Data Studio customers to subscribe to our software so that they could run A/B tests on the titles (we refer to this later as “bundling” the software with our agency). In August we added conversion tracking, so companies could see if their blog posts resulted in signups. In September we added a free Editorial Calendar to Tracker. 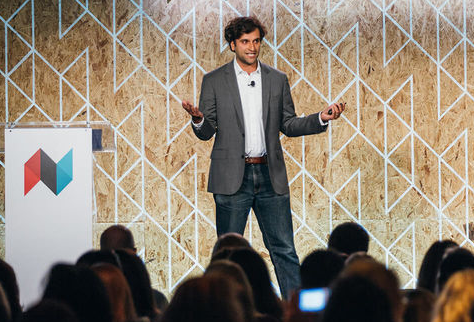 In October we put on a Content Marketing Conference, which wasn’t exactly a feature but seemed to increase signups. In November we added Content Marketing Templates and Idea Testing to the platform. In December we launched PR automation. As we added features throughout the year, we added more premium plans that ranged from $49/month for just tracking articles to over $495/month for the full suite of features for optimizing, spreading, and measuring content marketing. After a year, it’s gone from a neat tool for seeing how your blog posts are performing to a pretty sophisticated system for running content marketing campaigns. Throughout the year, we ran some experiments on the pricing and “freemium model.” For the most part, the product was free and then if you started tracking a lot of content you were prodded to upgrade or delete some articles to stay within the free tier. Organizations that produce a lot of content and use the platform for about a month generally sign up if they’re a company that can pay $49/month. This is especially true if they if they used the Slack integration for notifications. So, no credit card was required unless you decided to upgrade. For about a month during the year we experimented with requiring people to use a credit card to sign up. The product would be free for 30 days, but a credit card was required for the trial. This “card required” test didn’t work very well, though it wasn’t a complete failure. While people did sign up with a credit card, very few of them decided to use the product after the trial because they weren’t necessarily the kinds of companies that publish a lot of content. Not only that, but having a free product gives us a large base of users that end up using other services from us like our Data Studio or training course. So we went back to free! Probably the most demoralizing moment came at the end of February when we accidently deleted all of our user data and made every single account practically worthless. We had recently turned on paid accounts and things were growing very nicely. Lots of free users had signed up at launch and they were gradually converting. A lot of Tracker (especially in the beginning when features were limited) was built on the Google Analytics API. That way we could report how much traffic each article was getting, in addition to other important metrics. During a deploy of an incremental Tracker update, we discovered that we had accidentally overwritten our Google app key which allowed us to collect data through the Google Analytics API. Through the API, we would request that users grant Tracker access to their Google Analytics data. For the record, you probably don't want to push that button. As we discovered, it doesn't just generate a new key, but also invalidates the previous key and revokes all authorizations that were granted under that key. As far as we can remember, there is no warning of just what will happen when you reset your secret. We even thought it might be a good security practice to rotate our keys occasionally, so why not? Refreshing our Google Analytics key disconnected every single account’s Google Analytics from Content Tracker. That meant not only was most of the data gone in Content Tracker, the only way to retrieve it was for the users to log in and re-authorize Google Analytics. This was akin to essentially deleting all of our users and asking them to have to re-sign up. Not only that, but at this point we had roughly 20 paying users and all of their accounts were essentially wiped until they re-authorized their Google Accounts with us. This was the absolute low. After getting almost a 1000 users pretty quickly we had basically zero users. Not only that, but at this point we had some paying users and we had just bricked their accounts. That day, we emailed all the users letting them know to re-authorize their accounts. Thankfully, almost all of paying users re-authorized their accounts within 24 hours. However, many of the casual free users did not come back. That month, we noticed a dramatic drop off in conversions to paid accounts because there weren’t nearly as many free users at the “top off the funnel” after the the incident. It was a pretty discouraging moment, but what can you do but move on? Is Selling Software a Way to Fund Journalism and Media? It’s no secret that content companies have a hard time making money. Given the supply of “content” out there, advertising rates are near zero and users aren’t clamoring to start paying to subscribe to things they can get for free. It’s a tough spot. One thing content companies have done is trying to license their software tools. Gawker invested millions into an ill-fated attempt to license their CMS called Kinja to other companies, Mashable has talked about marketing their viral monitoring software, the Washington Post has made rumblings about licensing its tools. After trying this for a year and somewhat succeeding at selling software (but not overwhelming successful by any means), we’re not exactly bullish on the prospect of software as being a way to fund great content. It’s possible, but it’s hard. One of the reasons it’s hard is that the revenue numbers start so tiny. It’s very hard to imagine a project like this not getting killed at a larger company when after a few months you’re making about $1,000 a month when you could sell an ad instead for a $100K. For us at least, the numbers start small, but they compound till they’re meaningful for a smaller company like us. Next, the consumer audience provides a small advantage in the beginning of getting a software product of the ground, but not much after that. Because we run a popular-ish blog, we can see the tools that would be helpful for content marketers to have, and that gives us an advantage. Because we have a platform, we can make a new feature announcement people actually hear about it. But the blog posts that have high conversion rates are humdrum product announcements. The best pieces of journalism and long form content we create have zero conversion rates to software sales. It doesn’t really create incentives to make better journalism. Whatsmore, the vast majority of people that subscribe to Priceonomics are here for the stories, not some software product for businesses. Additionally, most of the work involved with creating and selling software has nothing to do with being a media company. It involves writing code, talking to users, developing a sales process, and critically evaluating whether the incremental dollar spent on creating journalism is a return on investment versus spending money on sales and advertising. Can you sell more software by spending a $100K a year on a journalist, or on Google ads, or by hiring a salesperson? The answer isn’t encouraging for funding journalism, if that’s your goal. This isn’t too say you can’t fund a content company using software. Someone might do it and there are some examples of companies that built profitable software franchises first and then later expanded into content for whatever reason. Our observation, however, is that selling software doesn’t necessarily encourage you to create good journalism in the same way other models might. 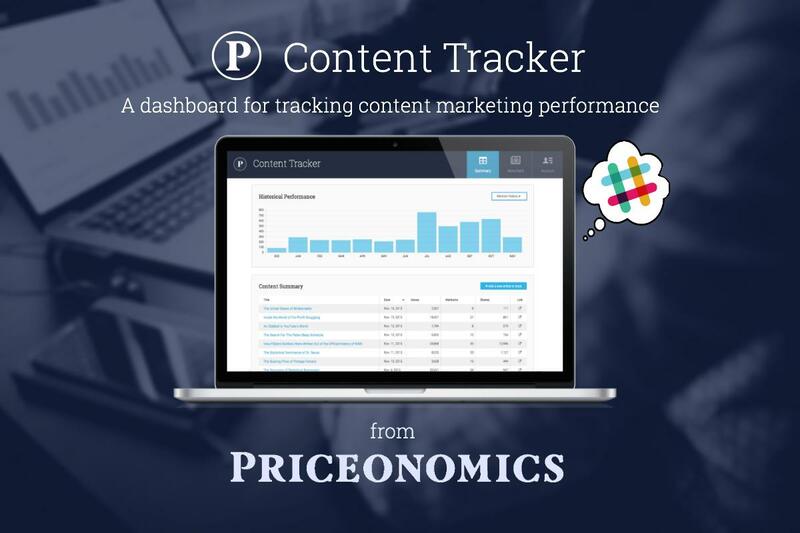 A year ago we released Content Tracker to see if other companies would use and pay for the tools we’ve built at Priceonomics as part of our blog and Data Studio. While it hasn’t been some insane rocket ship success, it’s steadily grown each month. There have been tremendously discouraging moments along the way, but that is perhaps inescapable when trying anything new. At the same time it’s been exhilarating to see something grow from a distracting idea to something that has a chance to be our dominant source of revenue in 2017 if we keep working at it and make the product better. If you'd like to try out Content Tracker for your company blog, sign up here. 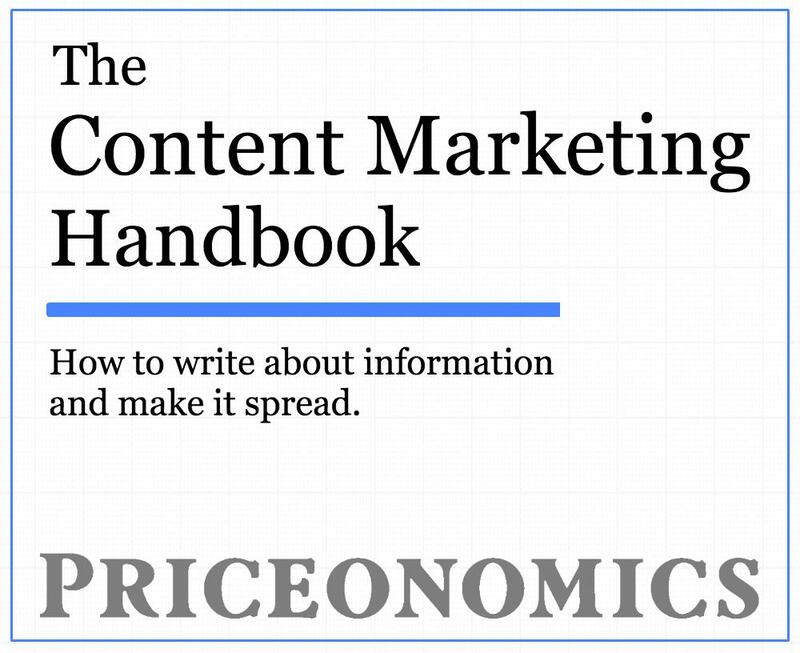 The Priceonomics Content Marketing Bootcamp is taking place on Jan 30th to 31st in San Francisco. To learn how to turn company data and information into great content, grab one of the last spots here.